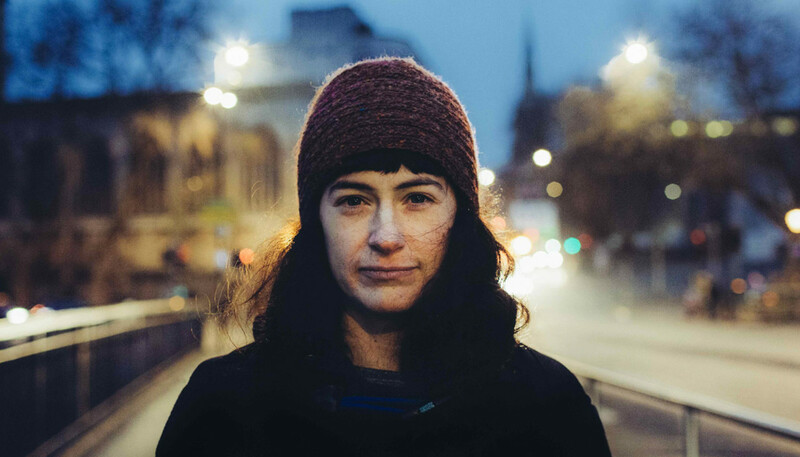 Formerly signed to Brassland – the independent imprint owned by The National’s Dessner brothers – This Is The Kit have just joined fellow folkies Josienne Clarke and Ben Walker over at Rough Trade Records. We caught up with band leader Kate Stables to find out more about their exquisite debut for the label, Moonshine Freeze. You just played Aaron Dessner’s festival Eaux Claires, you were previously signed to his label Brassland and he appears on your new album. How did you meet? I first met his brother, Bryce, a long time ago when he was living in Paris – I think before The National were doing much stuff – and then stayed in touch a little bit over the years. And then they came to a show we were playing in London a few years ago, and Aaron really loved it and said, “Do you want to do an album together?” And we did! So I guess we have known each other for quite a while now but it was really nice when it started getting more musical and we were able to do projects together. Since your last album, Bashed Out, you’ve swapped Brassland for Rough Trade Records. How is it working out so far? So far so good! I feel like when you work with a label it has to be the right chemistry and the right approach to the music industry, and although their approach is obviously going to be different to mine because they’re a label and I’m a musician, I feel like they understand. They’ve got a proper long history of independently-made music and independent thought, so that feels reassuring. And I’m excited about the opportunities that will crop up from working together. It’s time to stop avoiding mentioning politics in the name of politeness, or in the name of avoiding offending people. Yeah. I mean, I also feel like that happened with each album, luckily. But it’s true that it was a noticeable step up with Bashed Out. I guess it was because we were working with Brassland, and they do an amazing job of being a little tiny independent record label, but still getting [the music] out there and making sure that people hear it. So how soon after Bashed Out did you begin writing Moonshine Freeze? Well, I write pretty much all the time and whenever possible so songs just get written whenever there’s a bit of space, really. The gigs for Bashed Out lasted a really long time and we were working on [that album] for ages so there couldn’t be that much of a gap in-between records. But I was really pleased to go into the studio this time with the songs properly finished – not necessarily in terms of the arrangements or how we were going to record them, because that was still to be worked out when everybody got in the studio – but the fact that songs were written was really great. So previously you’d been going into the studio with half-finished songs? What was the goal for Moonshine Freeze, sonically? With Bashed Out, I ended up doing things mainly on my own with Aaron, so this time it was so important to me that the whole band be present at all of the recording sessions, and throughout the whole album-making process. We managed to do that, and I think that did shape the sound enormously. And it was just brilliant to have the horn section involved in the recordings, because we’ve been gigging with them for the past year or so. Also, Jesse [Vernon, guitarist] loves writing arrangements for strings and horns, so he was just doing that loads, and then we were choosing the bits that worked for the album. It was nice just to have everyone’s input, basically. And you worked with producer John Parish. Yeah, I’ve been wanting to work with him again for ages. Well, for 10 years, in fact, because that’s how long ago it was since we last worked together. And I was so pleased it worked out. I feel like his taste and judgement in sounds and in arrangements is really great and I really love what he does. But also, just his energy when you’re with him in a room, it has a really good affect on everyone. He just tells it to you straight in a nice, easy-going way; really objective. So yeah, he was the best captain for this particular voyage. Is it true that you see songs visually, in terms of landscapes? Yeah. Well, I guess when I’m writing a song, and then when I’m singing the song live it’s the same little slide show or little Super 8 film that goes through my head each time. Though sometimes it evolves a little bit. So, for example, on “Hotter Colder” in my head that happens in a place called Durdle Door, in Lulworth. It’s this amazing bay where the water is incredibly clear and there’s a big archway that you can swim under. The water’s really deep and dark, and you have to strive quite hard to not freak out by imagining something’s about to drag you under. So I have that image in my head. And this album is you examining the art of storytelling, right? Yeah, exactly. I mean I don’t feel like I’ve particularly mastered the art of storytelling but I do love thinking about it and listening to and reading stories that people have collected. There’s something about certain turns of phrase that people use that really appeal to me, and they’ll get stuck in my brain and I’ll just have to work them into a song somehow. So I guess storytelling has been a big part of my thought process in writing these songs. And interpretation: how we interpret things differently, depending on where we are in our lives. Can you tell us some of your lyrical reference points? There are a few songs where I’ve taken bits from other songs. Like, there’s a little clapping rhyme that ends in the phrase, “Moonshine, moonshine, moonshine freeze,” and I couldn’t get that out of my head. And then there was another little story read by Hugh Tracey, an ethnomusicologist who collected a lot of folk tales from Africa. I’ve got some recordings of him reading these stories out, and there’s this particular one where he talks about a liar getting boiled, and I couldn’t get it out of my head. The sound of the song and the syllables really struck me so I ended up building “By My Demon Eye” around that. But the result was kind-of surprising. When I started writing the song, I imagined it would end up being more political – and it is to a certain extent – but it turned out to be a lot more personal than I was expecting. Politics seems to be infiltrating a lot of art at the moment. You’ve incorporated those ideas subtly, though. Yeah, but also I guess something that might seem really obvious to me might be subtle to someone else and vice versa. Things that I think have been quite ambiguous, people might be able to think, “Well that’s definitely about that.” And whether or not it’s true that’s still totally valid for them to interpret it that way. Again, it’s this question of interpretation and how much we project onto what we see. But I just feel like it’s time to stop avoiding mentioning politics in the name of politeness, or in the name of avoiding offending people. Because we have to be open about talking about the world, because it’s up to us to sort it out, basically. We can’t just rely on millionaires and politicians to decide how things go because they’ve done a horrific job. With protesting too, some people feel like it’s futile but I think to be together and to acknowledge the fact that you all want it to change is a really positive thing. That was one thing I really felt from living in France. It’s just such a cultural thing; as soon as something is not ok, you get out in the streets and protest. In Paris, immediately at Place de la Republique there will be hundreds or thousands of people, showing solidarity and expressing the fact they’re not happy that something’s happened. And I think that is really important. We need to do that more; stick together and try to find ways of getting our voices heard. Can you tell us more about the meaning behind “Easy on the Thieves”? That is quite a political one. Again, it’s about the fact it’s up to us. You know, we might not be the ones stealing and taking part in the corruption but we are accountable in a way; we have to be the ones to actively fight against it otherwise we’re just turning a blind eye. And it’s that thing of “us equals them”, that there’s no good side or bad side. It makes me think of that Bob Dylan song where he says, “With God on our side.” Everybody thinks they’ve got God on their side, and that they’re the ones with the right cause, but it’s not the case. Everyone is the same and just battling each other for no reason. 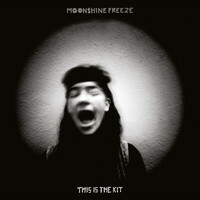 Why did the song “Moonshine Freeze” lend itself to be the title track of the whole collection? I think it worked partly because of my relationship with that phrase “moonshine freeze.” It feels like the song itself has the thread of ideas that run through the album; the relationship we have with change and having to adapt. And also it worked quite well with the pinhole photography experiments I’ve been doing. I was doing these photographic tests to find some ideas for the album artwork, and when you’re doing pinhole photography you have to stay still. It’s a strange moment in time when you have to stay still for however many minutes because that’s how long it takes to expose the photo. And the photo that came out in particular had this vignette effect because it was underexposed and it made this pleasing, moon-shaped circle. So it just all seemed to make sense together. Do you feel that you’ve learned anything in particular in the making of this album? Definitely, but I feel like it might take a few years – maybe even a life time – for me to put my finger on what exactly. But whenever you work with people – especially if it’s an intense creative process – people’s skills and ways of being rub off on you. Or the things that you notice that are not ideal in yourself get put under the microscope and you get chance to reset your habits. Working with different people is really important for that reason.